Whatever your experience, whether your abilities are world-class or you are hoping to complete your first tri, you will be welcome at Exeter Tri Club. You will have the opportunity to meet and train with other triathletes and to join in social events. Training is delivered by a team of qualified coaches who will help you to achieve your aims. Between them they have a great deal of experience, so don’t hesitate to ask for help or advice. Training sessions have been organised on most days of the week, to find out more try our training page. Club members organise additional training with friends through Facebook page. Please submit a friend request to join. It is always good to meet fellow club members at races easily identifiable in our club kit. In January we publish a list of target races to ensure that we can attend events together and gets support from other members. The list can be found on the events calendar page. Our membership year runs from 1st February to 31st January. If you join towards the end of the year reduced rates apply, contact the membership secretary for details. Our Facebook page is a great way to meet other members for more informal training or to find training partners. Please submit a friend request to join. Our club relies on volunteers. How can you help? Volunteers on a small committee do the day to day running of the club, organise the well-attended coached training sessions and organise the popular Exe Valley Tri and Aquathlon series. This group will always welcome help with admin, race organisation, arranging social events and coaching and all club members will be expected to help with the marshalling of one of our races, to continue to make them successful. We ask every full member and all students aged 18 or over to volunteer to marshal or help out at one of these club events or ask a family member or friend to volunteer if you would like to compete. 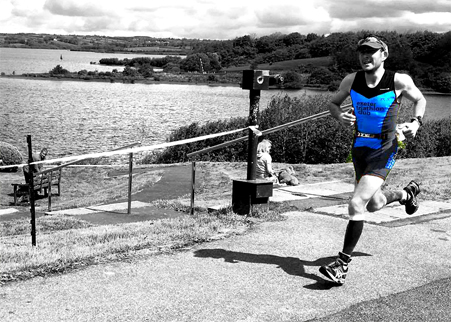 If you enter Exe Valley Tri, then you will be expected to marshal either before or after you race. (2) the Road Time Trials Council. This means that you can race under the Exeter Tri Club name at triathlons, duathlons, aquathlons, and time trials. As an adult Exeter Tri member you will get a discount of £11 on the £51 BTF membership for 2018.